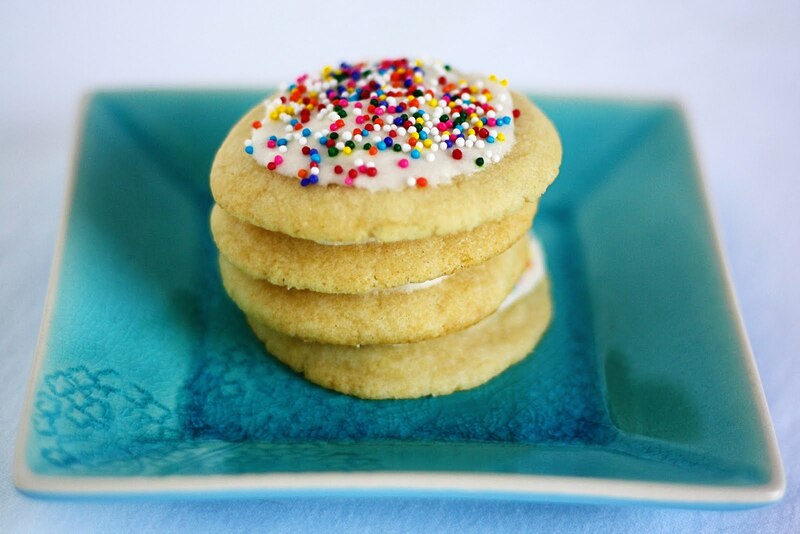 These sugar cookies are *so* chewy and flavorful. This is a great go-to recipe for those times when you’re craving delicious sugar cookies but don’t want to go to the trouble of rolling out the dough, cutting out the cookies and then decorating them. Just slap some buttermilk frosting on the top, sprinkle with some fun candies, and you’re good to go! 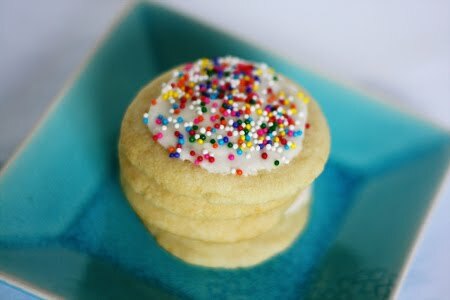 I’m sending a batch of these up north to my brother to thank him for his super-awesome Web design skillz. He’s, you know, awesome and stuff. 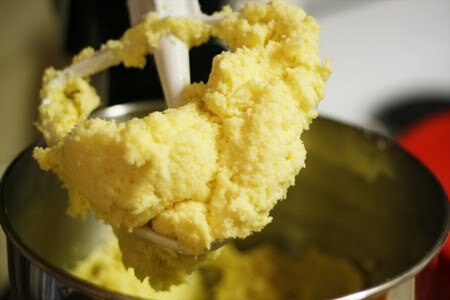 In the bowl of a stand mixer, combine the butter and sugar and mix until light and fluffy. 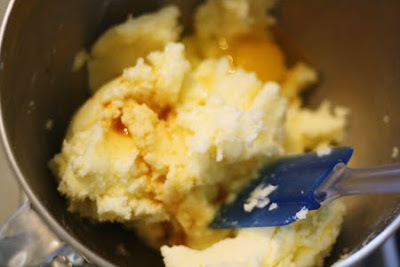 Then, beat in the vanilla and the eggs. 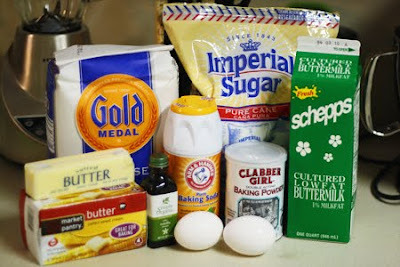 In a separate bowl, combine the flour, baking soda and baking powder. 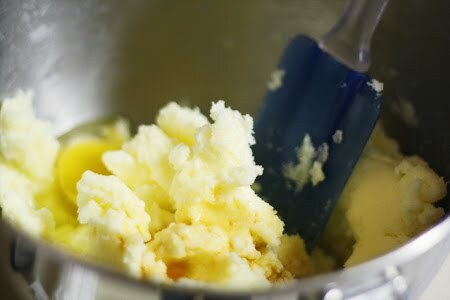 Beat in the buttermilk, one tablespoon at a time. 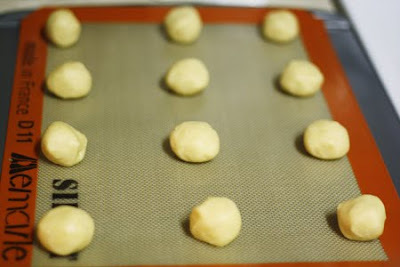 Roll the dough into small balls and line on a baking sheet. 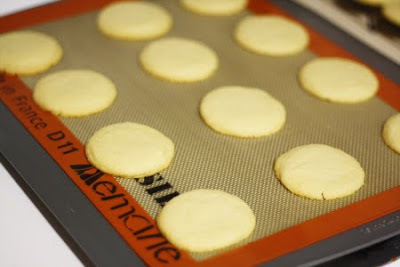 Bake for 12-15 minutes, until the very edges of the cookies turn golden brown. Don’t they look so crisp? Yummy. Mix all ingredients until creamy. 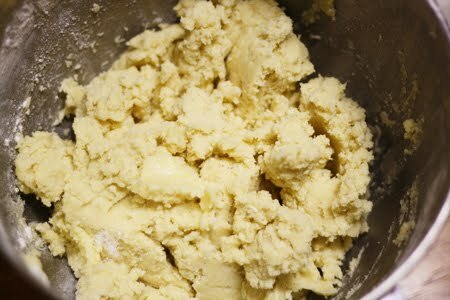 Frost the cookies as desired. 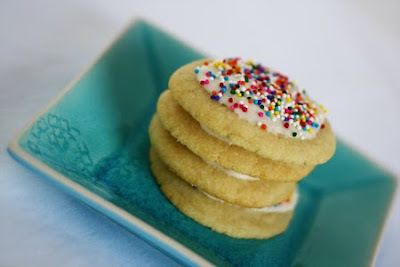 These Buttermilk Sugar Cookies are *so* chewy and yummy. 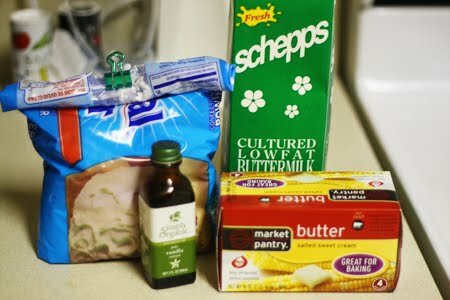 You’ll be stocking your fridge with the “secret” ingredient!